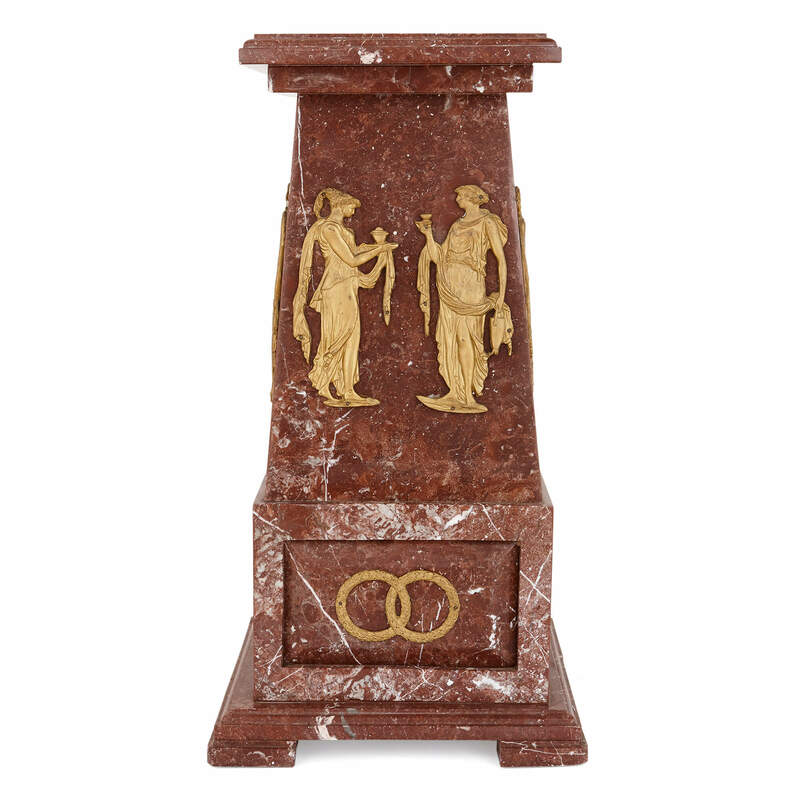 This elegant pedestal combines rich, cherry-red marble with carefully-crafted gilt bronze mounts, creating a Neoclassical piece of the finest quality. 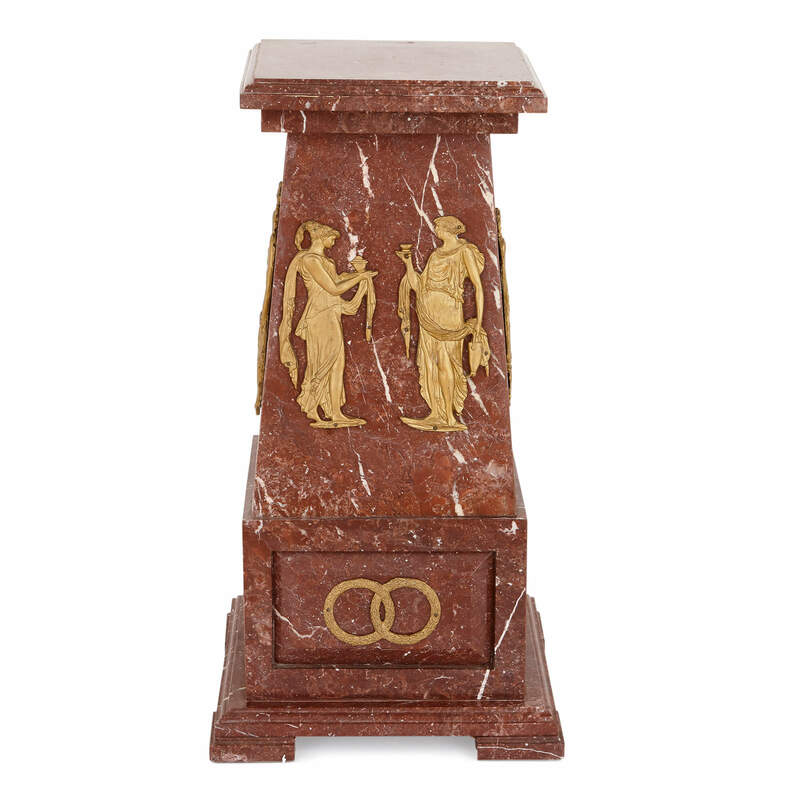 This sumptuous pedestal is a piece for a richly-coloured, bold interior setting, or for use as a focal point in the room. The pedestal features Neoclassical style gilt bronze mounts all over its exterior and has been crafted from a beautifully-veined, deep red marble. 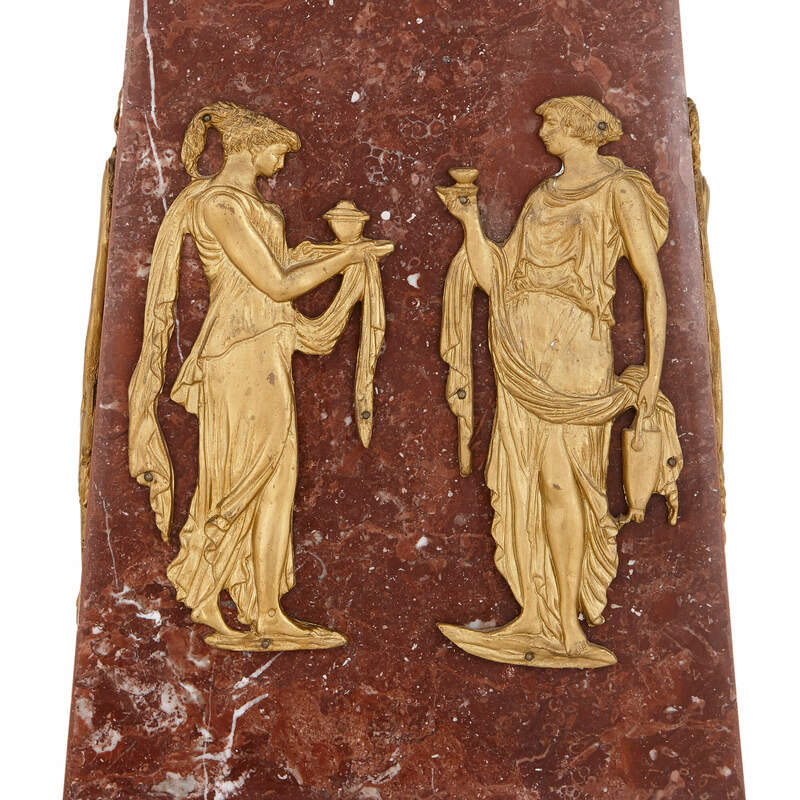 It is an elegant piece, suitable for a refined taste. 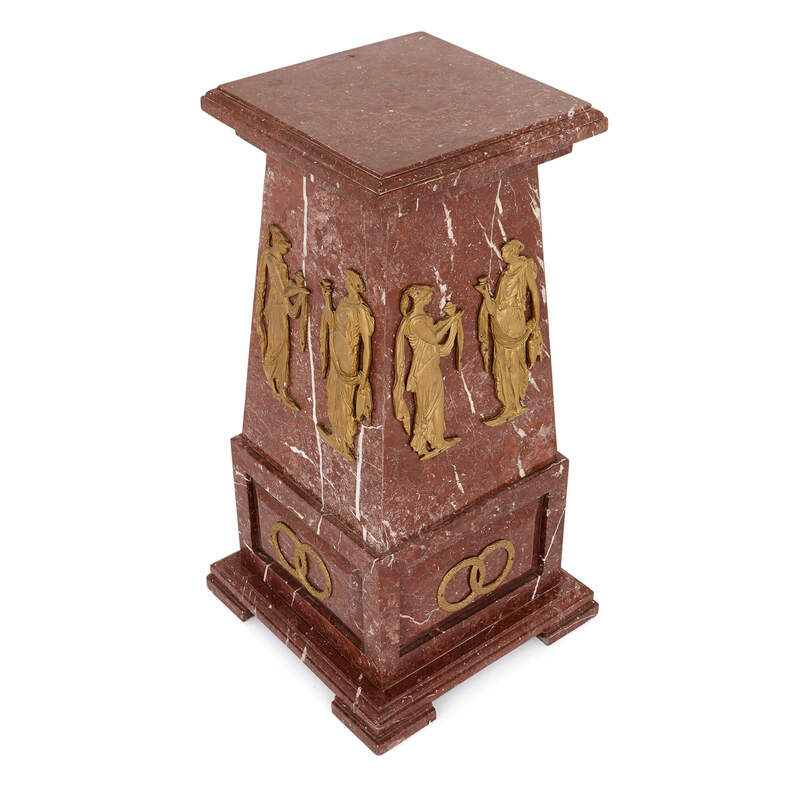 The pedestal is formed as a tapered column on a square base; around the column there are robed Classical figures mounted in gilt bronze, with interlocking rings shown around the base of the pedestal. 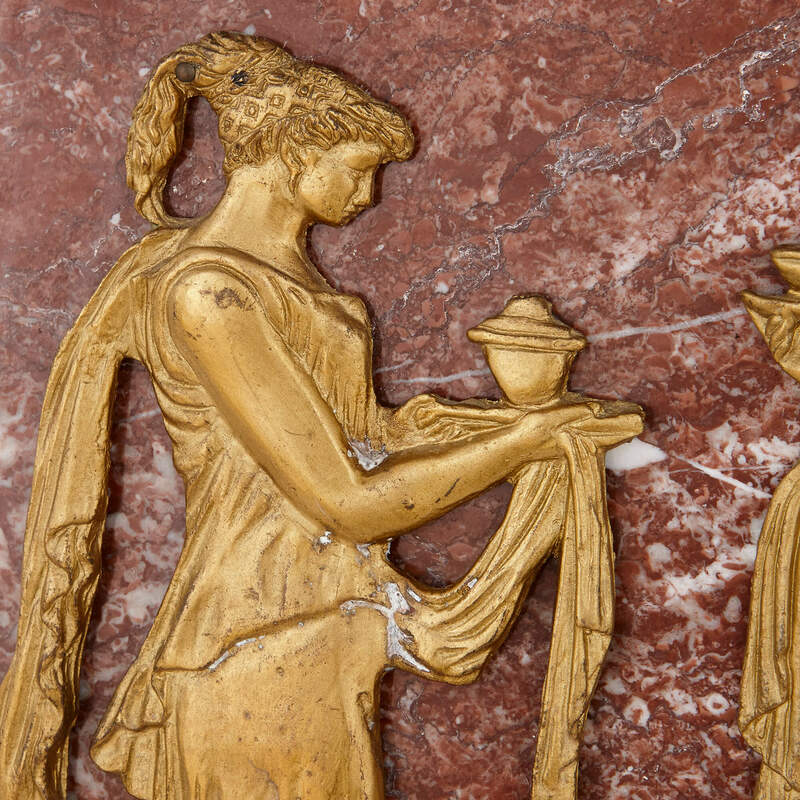 At the top of the column there is a square plinth, which could be used to display an antique vase or sculpture. 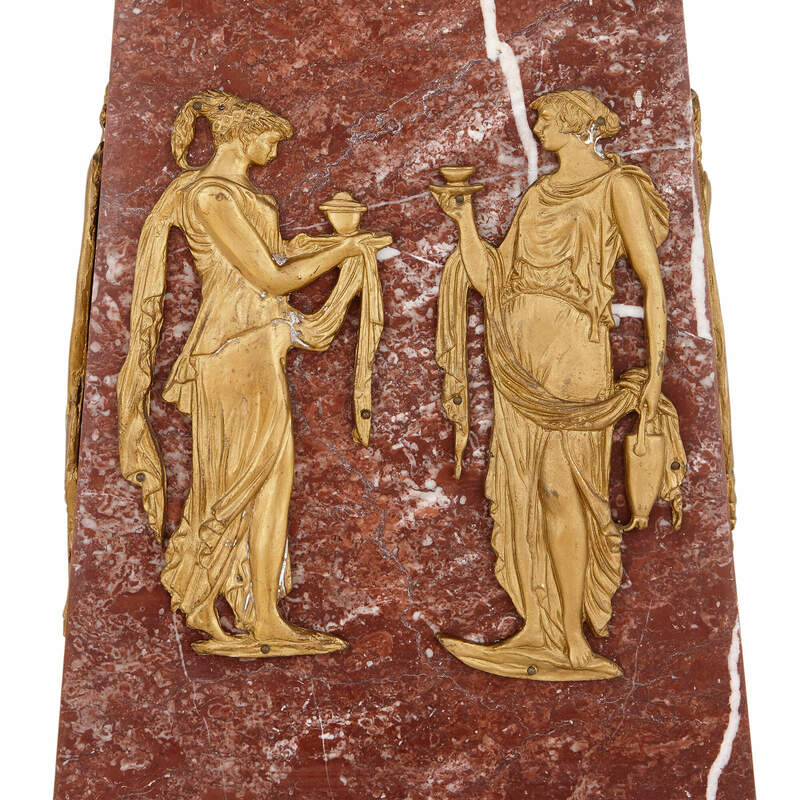 The pedestal is 71 centimetres in height, with the top plinth measuring 28 centimetres square.